Tim Hutchinson is the CEO of DGB (Pty) Ltd, one of South Africa’s largest independent wine and spirit producers and distributors. He has been with the company for 30 years and is currently the CEO of the group. A hands on person, Tim spends nearly half of his time travelling and visiting markets. I had a chance to catch up with him during his three-weeks visit to Asia. DGB began as Douglas Green & Co in 1942. Through merger and acquisitions, and eventually a management buyout led by Tim himself, the company has grown to include 12 wine brands and 12 spirits brands. To date, the wines are available in over 100 countries. With the acquisition of Boschendal, one of the oldest wine estates in South Africa in 2005, the root of the group also extended back to 1685. The DGB brands available in Asia include Boschendal, Bellingham, Franschhoek Cellar, Douglas Green, The Beach House and Brampton. Tim is proud to point out that in the UK, DGB’s two premium brands, Bellingham Bernard Series and Boschendal, have 67% of the South African wine premium category (over £15/bottle), while in the Philippines, an emerging market for wine, one in every two South African wines sold belongs to DGB. Tim attributed the success to his highly-driven international team. Instead of sending corporate personnel from the headquarters to each market, DGB identified locally based persons who speak the language and understand the culture to truly capitalise on the potential of each market. DGB’s international team consists of 13 nationalities speaking 15 languages. In Asia Pacific, the dynamic duo are Nick Sonderup, an Australian who speaks Mandarin and has been with the company for four years, and Hong Kong born Kenneth Lee who speaks English, Cantonese, Mandarin and Japanese. DGB is committed to four key areas: vineyard management to make the best possible wine; tourism to build the brand; social responsibility to improve the quality of life of workers, and environmental responsibility to minimise the impact to the Earth. Tim reckoned that as much as wine is about craft, it is also about technology. Since good wine is born in vineyard, it is important that winemakers know exactly the quality of fruits each vineyard site could deliver. At DGB, infra-red technology and helicopters are used to map the vigour of the vineyards in such a precision that enables winemakers to decide which specific area of vineyard to be picked and when for a particular wine. 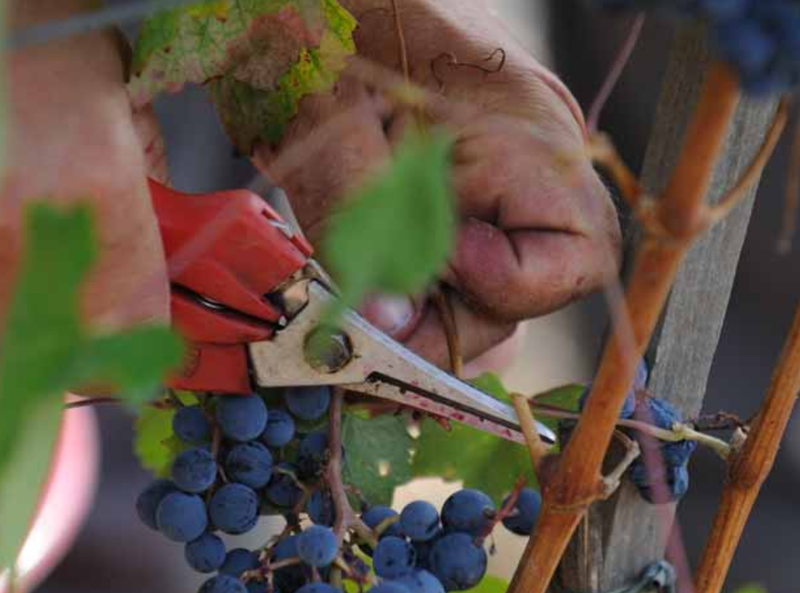 On top of state-of-the-art vineyard management, winemakers are also given free hands to experiment. It is true that most of the creations would be blended away but a few would make it to the production line. One such example was Bellingham The Bernard Series Organic wine Syrah 2012 that was recognised as one of the top 10 Syrah/Shiraz in the world at the 10th edition Syrah du Monde International Wine Competition 2016. Coincidentally, Bellingham was the first winery to produce Shiraz in South Africa in 1956. DGB has long recognised that tourism is one of the driving forces to promote wine. With the weak economy and currency in South Africa, tourism industry in booming. Tim ensures his wine estates have hospitality facilities that would leave lasting memories to guests. Boschendal, home of an award-winning restaurant and elegant cottages, is one of the most visited wine estates in South Africa with 300,000-400,000 guests ever year. The Franschhoek Cellar, located on the Stellenbosch wine route, is a popular destination. Like most South Africans, Tim admitted that the system under apartheid was unfair. DGB is putting things right now through various social and community projects. 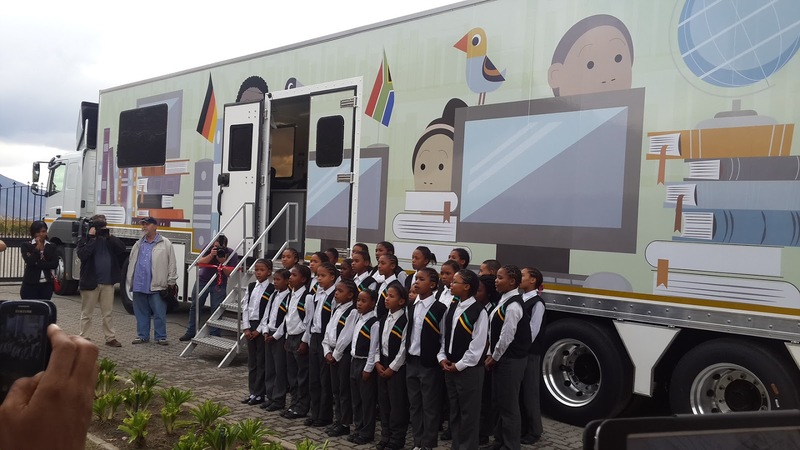 Douglas Green funded an educational truck that combined a mobile library of 5,000 books and computer room with 20 laptops that goes around underprivileged schools where children can borrow books and adults can learn computers. The brand also has a line of Fairtrade wine where the premium goes back to the community who then decide how the premium is invested. Last but not least is the commitment to environment. In addition to using lighter weight glasses, managing waste and running recycling programmes, DGB planted a 10ha bamboo forest in 2011 with two objectives: to offset carbon footprint and to empower the community through job creation and new skill learning. This initiative won the Ethical Award at the Drinks Business Green Awards 2012. 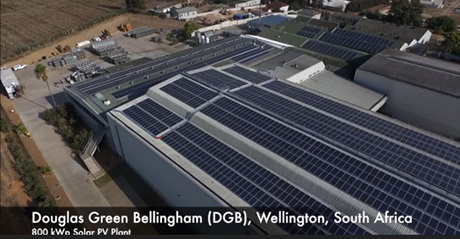 The latest project is the installation of 2,600 solar panels across the rooftop of its Wellington’s production facility covering 62,000 sqm, which is expected to produce 1.25 million kWh in its first year of full operation. Tim doesn’t stop here. While the social and environmental projects are ongoing, he is also planning to introduce a new premium wine brand. 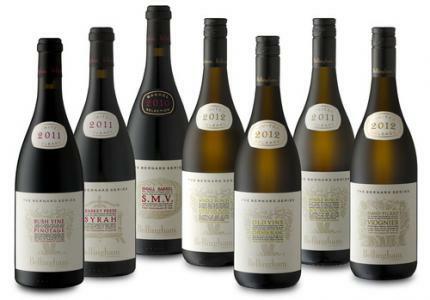 He believes the future of South African wine lies in the premium range. Most customers in the world think South African wine is excellent value for money, meaning it’s a great quaffing wine. Unfortunately, this is exactly the Achilles' heel - the weakness of South African wine. When consumers look for more expensive wine, they will not look at South Africa. However, most premium wine estates in South African are too small and even though a few of them are well known in overseas markets, their limited volume do not allow them to make a big impact in the competitive wine markets. 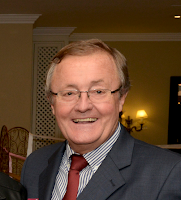 He hopes that South African wine estates could work together to grow the country’s premium wine category. Anyway, he is optimistic about the future. As the world is getting smaller, wine is well placed as an aspiration to the young generation. Cottage Vineyards has organised a masterclass on variations of Sangiovese and Tuscany’s forgotten wine recently. The variations of Sangiovese ranged from the Chianti Classico and Brunello di Montalcino to Super Tuscan (Sangiovese blended with international varieties). These wines were presented by four passionate winemakers/owners from Tenuta Cantagallo e Le Farnete, Molino di Sant’Antimo, and Fattoria di Petroio. The other forgotten varieties were Ciliegiolo and Pugnitello, both red wines, from Simona Ceccherini Winery. The tasting was a bit chaotic as there were too many different glasses in too confined space leaving no space for taking notes; but at the same time lively because the speakers, especially Dario Pierzaauoli from Tenuta Cantagallo e Le Farnete who also took on the role of moderator, were entertaining. nd Asian cuisines to pair. Of course these wines are all different but it could be challenging for wine consumers to remember the nuances. I would like to draw a simple conclusion that Sangiovese, with its high acidity, is food-friendly. We just need to determine the palate weight of the wine and choose food that have similar weight. For example, a light version Chianti without wood could match with antipasti and fish dishes; while a more meaty Super Tuscan would pair well with roasted meat. What I would also like to mention is the two other varieties. Both Ciliegiolo and Pugnitello are local varieties from Maremma where Simona Ceccherini Winery is located. Ciliegiolo with its lively acidity is best with simple tomato based dishes while the heavier weight Pugnitello would be perfect with slow cooked meat. Italy has 1,000 native varieties, we need every Simona to preserve them. All these wines are available from Cottage Vineyards.